Tyler Durden: Silver bullion remains one of the most undervalued commodities and store of value assets in the world today and therefore one of the greatest opportunities. Indeed, we view the opportunity in silver bullion today as very much like that seen in the period from 2003 to 2006. Then, silver traded below $10 per ounce prior to sharp gains during and after the financial crisis which saw silver surge to $20 prior to a sharp correction and then surge to nearly $50 per ounce in April 2011. Gold remains under covered in the mainstream media rather than specialist financial media such as Bloomberg, CNBC and the FT. It is very rarely covered in mainstream media and when it is covered it is frequently covered in a very unbalanced way – see ‘The Economist’ Anti-Gold Article – Case Study in Disinformation. Poor man’s gold, silver is covered even more rarely and is therefore not on the radar of the majority of investors internationally and remains a hugely under owned asset. Therefore, it is encouraging to see the UK’s Telegraph publish an interesting piece this week making a strong case for owning silver. The main thrust of the article by the commodities editor Andrew Critchlow, is that demand for solar power is increasing globally and this will impact positively on the price of silver as it is a crucial component of photo-voltaic cells. Indeed, the fundamentals in the silver market remain strong due to its role as an industrial commodity as well as a precious metal used in jewelry and for investment or rather store of value purposes. New industrial applications for silver are constantly being discovered. It is an excellent electrical conductor, withstands corrosion and has anti-microbial properties making it very useful to a wide array of technologies. These factors, coupled with its function as a store of value, would suggest that the strong demand currently seen for the precious metal will continue. Demand has indeed, been strong – outstripping supply by almost 22% last year. Total global demand amounted to 1.07 billion ounces while total mine production worldwide came to 877.5 million ounces, according to the Telegraph. The shortfall was made up from existing stocks of silver. How long this trend can continue is unknown. 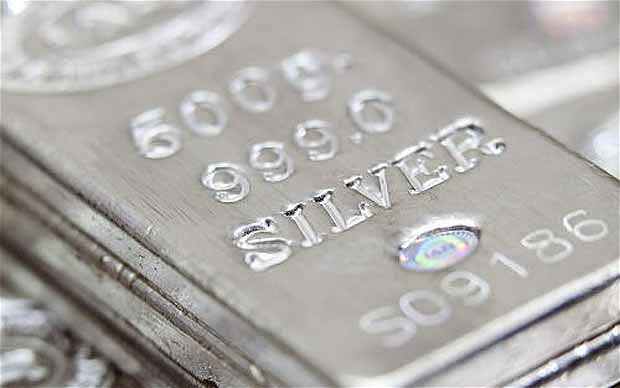 Moreover, demand for silver is set to grow substantially in the coming years, according to the Telegraph, due to increasing demand for solar energy, and indeed other electronic, industrial and medical applications. Renaissance alchemists like Isaac Newton associated silver with the moon. Its light – the energy which it transmitted to the earth – was harnessed from the sun. The article says that 70 million ounces will be used just in the manufacturing of photo-voltaic cells this year. That amounts to almost 8% of last years mine production. It would appear that the fundamentals in the case for owning silver are as strong as ever. It has been subject to the same ongoing price suppression that has beleaguered gold in recent years which has scared many safe-haven and store of value investors out of the market. However, the tide may now be turning as large industrial users – for whom falling prices are a bonus – come into the market. 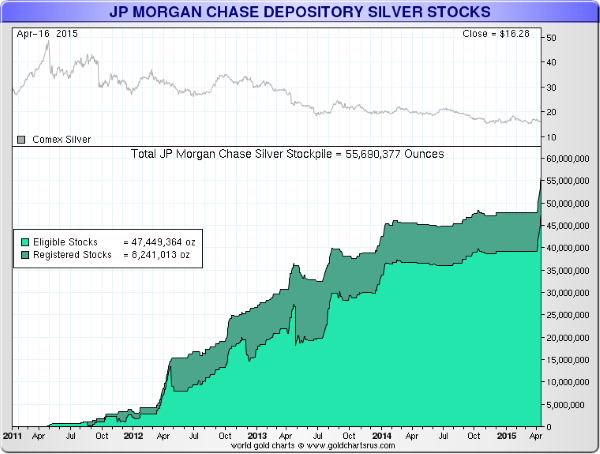 We recently covered JP Morgan’s rapidly increasing stockpile of over 55 million ounces (either in behalf of the bank itself or clients) and rumored JP Morgan silver acquisition of an enormous hoard of 350 million ounces of physical silver. Indeed, the blog was picked up very widely and we received much feedback – mostly positive but some critical. We intend looking at this more closely next week but in the meantime here is Ted Butler’s latest blog on this important development. Unlike gold – almost every ounce of which was ever mined is still usable – silver is like oil and has been steadily consumed over the course of the last hundred years in non-recyclable industrial applications such as photography and more recently in electronic appliances including iPhones. Nobody is really sure how much above ground silver is still in existence, however estimates are that there are around 1 billion ounces of above ground refined silver. This would mean that the entire silver market is worth approximately a tiny $17 billion today. To put this in perspective, there are thousands of companies today with $1 billion plus market capitalization’s – including companies that most of us have never heard of. Central banks globally print $17 billion in a few hours. Throughout history, one ounce of gold could be exchanged for roughly fifteen ounces of silver. 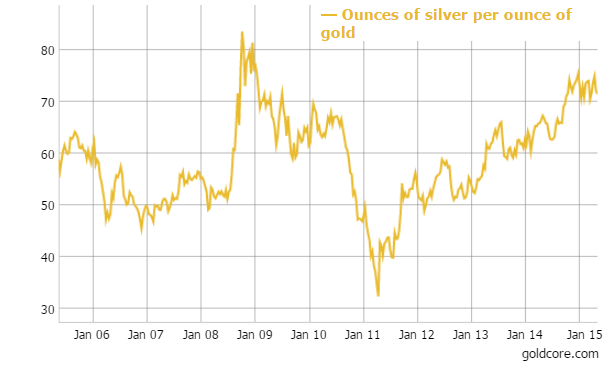 By that metric, silver, at over 70 ounces to 1 ounce of gold ($1,195/$16.77), is greatly undervalued today. In order to come back into balance, silver will likely outperform gold in the coming months and years. We advise clients to diversify and hold a healthy allocation to physical silver stored in the safest vaults in the world. It is subject to fluctuations in price and volatility but then what markets are not today? However due to its inverse correlation with financial assets, it is beneficial from a diversification and hedging point of view as it can reduce volatility and enhance returns in the overall investment portfolio.